Tag Archive | "intel atom"
At a Intel press event, still going on as I write, Intel has just announced that Z2580 that we tipped earlier today. It’s a dual-core version of the current Intel smartphone platform which is capable of running Android x86 and other x86 software. â€¦the Atomâ„¢ Z2580 processor that doubles the performance of the Atom processor Z2460, and features an advanced multimode LTE/3G/2G solution. Intel will sample the Z2580 in the second half of the year with customer products scheduled in the first half of 2013. In addition to the Z2500 series, there’s now a new Z2000 series at 1Ghz aimed at a lower-cost segment. Addressing the growing handset opportunity in emerging markets where consumers look for more value at lower prices, Intel disclosed plans for the Intel® Atomâ„¢ processor Z2000. The Z2000 is aimed squarely at the value smartphone market segment, which industry sources predict could reach up to 500 million units by 20151. The platform includes a 1.0 GHz Atom CPU offering great graphics and video performance, and the ability to access the Web and play Google Android* games. It also supports the Intel® XMM 6265 3G HSPA+ modem with Dual-SIM 2G/3G, offering flexibility on data/voice calling plans to save on costs. 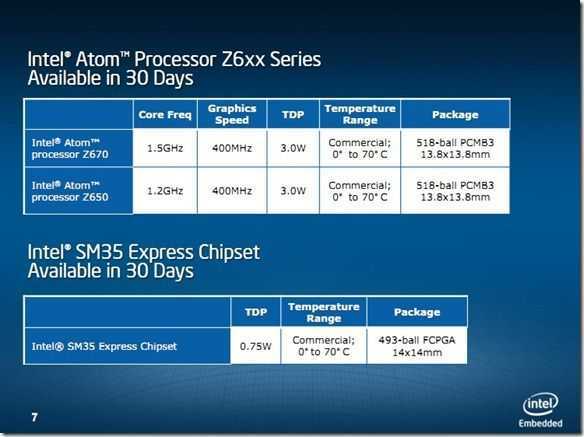 Intel will sample the Z2000 in mid-2012 with customer products scheduled by early 2013. Also announced was news that Medfield will now be enabled to 2Ghz. More details if we get them in the press conference that continuesâ€¦.. Very quickly before we go to the next meeting I want to relay some reliable information I’ve had this morning about Intel’s next generation phone and tablet platform. Clover Trail (and CloverTrail +) is likely to be launched today. The platform is Dual Core (that’s likely to be 2×1.6Ghz for Win 8 and Android Tablets) and there will be a version for smartphones. Z2580 is the name of the platform. It’s clear that tablets are moving to the enterprise. The iPad has already infiltrated many markets (pilots are getting iPads to carry manuals for example) and you’ll find them in many media companies. Android is moving that way too with Honeycomb leaning towards touch and mouse input methods. The operating systems are moving forward quickly (although there are still many limits) and the apps are following. What about the hardware though? 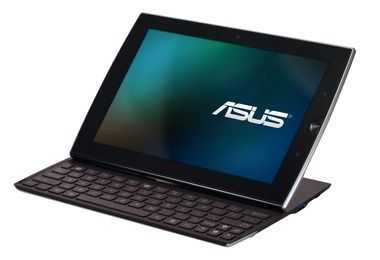 Can you plug a keyboard and mouse into an Android tablet and get to work in a corporate fashion? 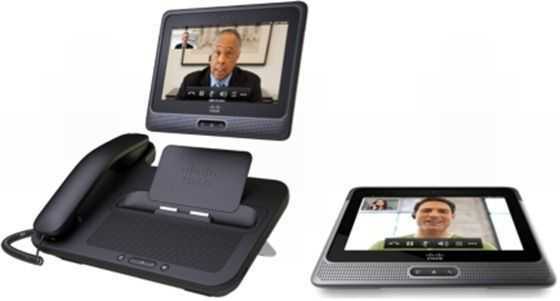 Cisco seems to think so and on analyzing some more information and hands-on with the Cisco Cius, I’m liking what I see. This is a very flexible thin-client and mobile computing device that could show the way for true pro-mobile computing solutions of the future. Android, Intel, Tablet are three words that many wouldn’t really expect to go together but it’s no secret that Intel have been working on Android for well over a year. They’ve been working on core items like power control and trying to dovetail the software with their new ultra-mobile platforms. The version of Atom inside the Cisco Cius is unique in that it can’t run Windows – another surprise from Intel. I also note that we’re seeing an non-Windows Intel tablet from a major brand here. Isn’t that what Intel wanted to do with MeeGo and Nokia? 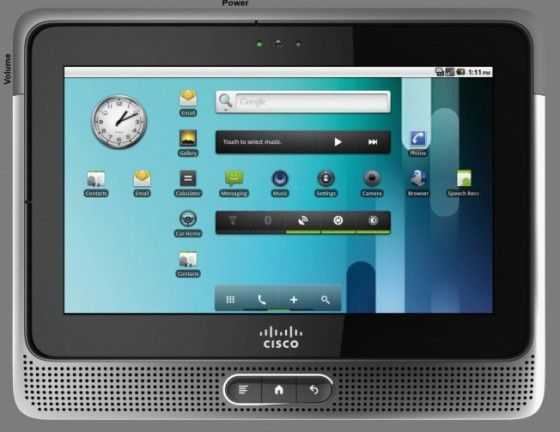 Cisco Cius specifications, links, gallery available through our Cisco Cius information page. Moving on, the tablet is only half of the product because the media dock is the really interesting bit. Docks are worth their weight in gold, especially when it’s one that’s a feature-rich as this. So lets summarise that as a quality docking station. 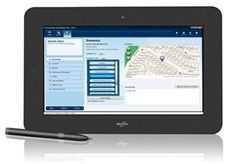 A bit more about the tablet software. It includes support for Cisco’s secure remote applications architecture. It’s thin-client for the big-boys basically and it integrates with cisco’s security, VPN and prioritisation support on their routers. A ‘VXI Endpoint’ is the Cisco term for this. The Android build is only 2.2 unfortunately. Intel are working on Honeycomb but it’s not clear if Cisco will roll-out that upgrade for the Cius. I assume it would be a big software job. I’ve been looking around for reviews of the Cius and there isn’t much out there at the moment but the video below is worth a watch. It’s an honest overview from an owner who seems happy with the device overall but has a problem with battery life. Yes, you were wondering about that weren’t you. Intel, Tablets and battery life often don’t go together. I have the most current firmware and I would say the standby time is around 5 hours. It would around 3 hours if I used it regularly. If we were talking about a small battery here I’d say ‘OK’ but we’re not. The Cius packs a 19Wh battery in 520gm. Here’s what Cisco say about battery life. There’s quite a difference between 3hrs and 8hrs there. Given that this is a 2.2W TDP Morestown platform that should idle way down to sub 1w territory with Android, a screen-off, Wifi-on scenario should be returning at least 15 hours. With the screen on, add 1W. In-use, add another Watt and you should be at a minimum of 4hrs usage. I don’t understand what’s going wrong here. Maybe Intel have some work to do on the Android build still? The video is worth watching because you’ll see smooth transitions across the board and you’ll see some apps demonstrated. I only wish we could have seen some benchmarks. Sunspider would be important as would Quadrant and a simple Benchmark Pi test. Is the browser based on Chrome rather than the Android browser? [Update: It uses the standard Android browser.] Are there any other special features hidden in the system settings too? Apart from the battery life issue which needs to be confirmed, there are two other issues. This is a Wifi-only device right now which is not good for mobility. 3G is expected later this year via Verizon in the U.S.A. Secondly, you’re looking at $750 for the tablet and (my) estimated street price of $400 for the dock. It sounds a bit heavy for a thin client based on Android (considering I can do the same on my Iconia Tab wifi for about $500) but don’t underestimate the value of a rich dock. Charging, USB, headset, display port, gigabit Ethernet and handset is a lot of flexibility there. As for the tablet itself, yes, $750 is a lot for the hardware but this isn’t just any old Android hardware, it’s a software bundle too. The price is right in my opinion. This is a corporate solution so don’t forget, if you’re looking at 200 of these units, you’ll be getting a huge reduction on those prices. 30% at least. What we need now is for someone to make a consumer version of the Cisco Cius. Drop the handset and the Cisco-specific software, fix that battery life issue, style it up a little and you could be looking at an interesting crossover Android device. Fingers crossed for a real browser on the Intel Honeycomb build. It’s on the Google TV build so why not on a tablet build? As you might have read in the press release from earlier, Intel announced a range of activities and products at Computex today but whichever way you look at it, their pivot-point just moved closer to mobility. Not only did Intel showcase a Medfield tablet running an official X86 build of Android (which will have marketplace support) but they launched a new initiative called ‘Ultrabooks.’ Backed by a trademark, they will aim to move 40% of consumer / mainstream laptop sales under this ‘brand’ before the end of 2012. That’s a huge number of devices. In the region of 20-80 million by my estimate. An article over at Anandtech does a great job of defining what an Ultrabook but basically it’s about bringing power consumption down, battery life up to ‘all day’ standards along with lightweight design, mainstream processing power, security and responsiveness. For mobility fans, that means devices around the netbook weight with notebook processing power, just what I need for my ultra mobile video editing project! I’ve kicked off a new database of products and news over at Ultrabooknews.com. Lets track this thing! Two other features of the Ultrabook need to be taken into consideration and I’m really pleased to see this. Intel are realising that always-on, or at least, always-updated, is something that people are starting to expect. It’s a feature that ARM-based devices have always had and Intel need to step up to the challenge. While Windows will always present some challenges (until Windows 8 I suspect) they have a couple of workarounds in the mix here. Rapid Start will speed up the return-from-standby process just as some devices have done in the past. The more interesting technology though is SmartConnect. I suspect this is a timed start-up and shutdown phase with a ‘boot and poll sequencer’ as I’ve mentioned before for Cedar Trail but there could be more to it than that as platforms develop. An always-on component is possible. As Ultrabook platforms move towards the 10W TDP mark (It is expected that they will centre around 15W TDP) there are some interesting possibilities for ultra mobile devices with a good level of processing power for grab-and-go or modular PCs. Don’t expect ultra-low-cost though! What it means is that Atom is going to move down a notch. Lower power envelopes are where Atom was meant to be but it also means that Atom is likely to widen its range to serve low-cost laptops and desktops. The Intel press releases for todays keynote are here. Tomorrow we will hear from AMD and we expect them to push Fusion down into lower TDP ranges. Stay with us as we track that one tomorrow. In the meantime, what are your thoughts on Ultrabooks and the platforms associated with it? Press Release Reveals Intel Plans Ahead of Keynote. Ultrabooks and Android Feature. While not too surprising in terms of content, this leaked press release, a few hours ahead of Intel’s Computex Keynote, highlights a big shift towards ultra mobile and Atom-based solutions. Key points of the press release are the accelerating Atom program, a Medfield tablet running Honeycomb, Ultrabooks, Cedar Trail and 10 tablets based on Oaktrail. We suspect these tablets will be included in the demo but we’re interested in the missing items! Update: The tablets shown on the Intel booth are from: Fujitsu, Lenovo, Motion, MSI, Open Peak, Toshiba, Viliv, and WeTab and ODM customers – BYD, Clevo, Compal, CZC, ECS, Foxconn, Inventec, Lengda, Malata, Pegatron, Quanta, Topstar and Wistron. Not all of these are running the Oaktrail platform. We’re in contact with a few teams on the ground at Computex and will bring you their news, images and videos later. 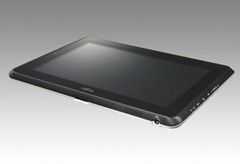 Intel defines new category of mainstream thin and light mobile computers, called Ultrabookâ„¢. 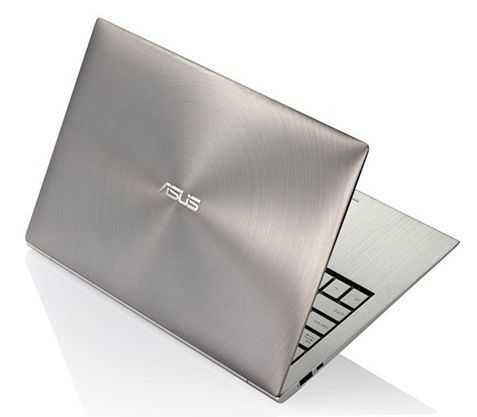 Intel aims to shift 40 percent of consumer laptops to the Ultrabookâ„¢ by end of 2012. Separately, Intel is accelerating the Atomâ„¢ processor roadmap to a one-process-generation per year cadence to enable a wider range of optimized solutions for multiple market segments. COMPUTEX, Taipei, May 31, 2011 â€“ Intel Corporation Executive Vice President Sean Maloney today said that by the end of 2012, 40 percent of the consumer laptop market segment will encompass an emerging new breed of no-compromise computers, called “Ultrabookâ„¢,” which will increasingly combine best-in-class performance, improved responsiveness and security in thin, elegant form factors. 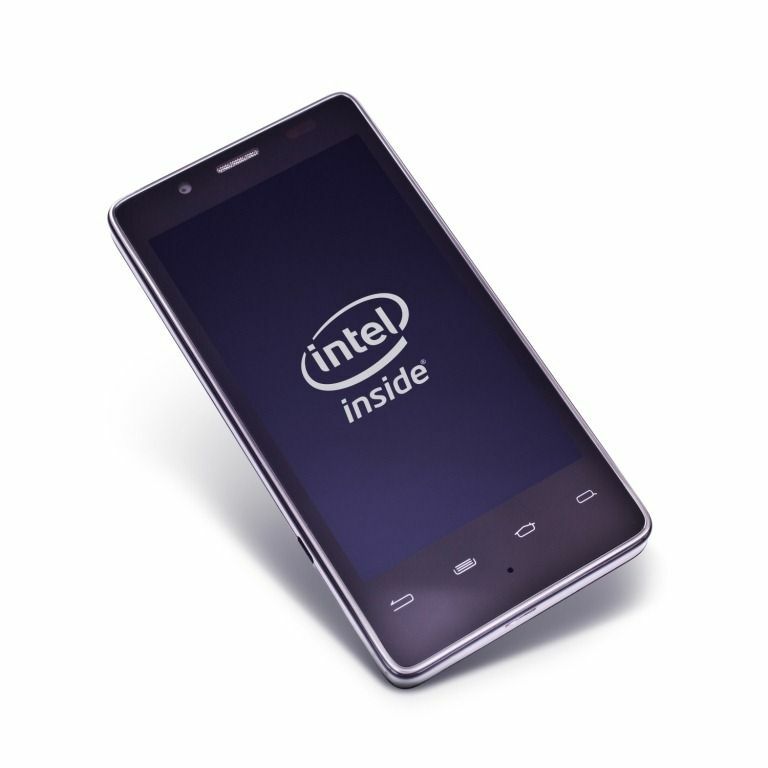 Intel’s vision is to enable a new user experience by accelerating a new class of mobile computers. These computers will marry the performance and capabilities of today’s laptops with tablet-like features and deliver a highly responsive and secure experience, in a thin, light and elegant design. The Ultrabookâ„¢ will be shaped by Moore’s Law and silicon technology in the same way they have shaped the traditional PC for the past 40 years. Maloney described three key phases in the company’s strategy to accelerate this vision, which begins to unfold today with the company’s latest 2nd Generation Intel® CoreTM processors. This family of products will enable thin, light and beautiful designs that are less than 20mm (0.8 inch) thick, and mainstream price points under US$1,000. Systems based on these chips will be available for the 2011 winter holiday shopping season and include the UX21, ASUS* Ultrabookâ„¢. ASUS Chairman Jonney Shih joined Maloney on stage to showcase the company’s new ultra-thin laptop based on the latest 2nd Generation Intel Core processor. Building on the latest 2nd Generation Intel Core technology, Maloney outlined the next generation Intel processor family codenamed “Ivy Bridge,” which is scheduled for availability in systems in the first half of 2012. Laptops based on “Ivy Bridge” will bring improved power efficiency, smart visual performance, increased responsiveness and enhanced security. “Ivy Bridge” is the first high-volume chip based on Intel’s 22 nanometer (nm) manufacturing technology that uses a revolutionary 3-D transistor design called Tri-Gate announced in May. Maloney also highlighted complementary USB 3.0 and Thunderboltâ„¢ technologies which are part of Intel’s ongoing work to drive the PC platform forward. Following “Ivy Bridge,” planned 2013 products codenamed “Haswell” are the third step toward achieving the Ultrabookâ„¢ and reinventing the capabilities of the laptop in ultra thin and light, responsive and more secure designs. With “Haswell,” Intel will change the mainstream laptop thermal design point by reducing the microprocessor power to half of today’s design point. Intel, Intel Core, Atom, the Intel logo and Ultrabook are trademarks of Intel Corporation in the United States and other countries. * Other names and brands may be claimed as the property of others. Another use for the Oaktrail Tablet – Intel Honeycomb in 2H 2011. I’ve been talking about this since, well, over a year ago. Intel’s new-generation mobile platforms, including Oaktrail, Moorestown and Medfield, could couple well with Android. I don’t mean a community X86 project, I mean official, Google approved, power-optimised versions of Android. Honeycomb included. Dual mode tablets will be possible and there’s even a chance that virtualization could let multiple OS’ run concurrently. Oh how I hope Intel get on stage at Computex and show Windows, Meego and Android running on the same device. Why? Because it’s a great choice for the pro-customer and when it comes to productivity, we need more CPU power than ARM-based solutions can deliver today. Intel should also be able to achieve ‘always-on’ with these new platforms too. When I asked Intel about Android a year ago they said that power optimisation work was lagging MeeGo. Lets see next week how far MeeGo has come. I’ll try and find someone in Intel to give us a Honeycomb update too. Anyone fancy a triple-OS Samsung TX100? There’s good and bad news to be drawn out of the news that Intel will go with a PowerVR core on Cedar Trail, the next generation of Netbook platform. VR-Zone report that Cedarview (the processing engine in the Cedar Trail platform) will include an SGX545 graphics core and not Intel graphics as had previously been suggested here. VR-Zone â€“ Cedarview to sport PowerVR graphics. The good news is that it brings the netbook platform in-line with other Atom platforms used for TV, ultra-mobile, embedded and tablet products and simplifies the builds for MeeGo and Android. The bad news is that the drivers for past versions of the SGX core used in Menlow (Z5xx-series CPUs) were never that good. Linux support, in particular, was a big problem. Intel will, of course, be aware of that and will have to take steps to improve it because if 30 million sales of netbooks have unstable or poorly implemented drivers, it could have a serious impact. As for the theoretical performance of the SGX545, I can only offer these figures that I dig out of web searches this morning. They aren’t confirmed. GMAxxx â€“ (PowerVR SGX545 â€“ 640Mhz) 128 million triangles per second. There’s a potential 10x improvement over GMA500 there but these figures are fairly meaningless as memory bus, cpu processing power and other implementation issues (including driver software) will affect the true performance. The diagram shown on VR_Zone though shows a target of 2x Pinetrail. While that’s probably not going to beat the 3D performance of AMDs Zacate platforms, it’s a welcome boost that will drive non-gaming devices well and, we assume, keep the power requirements down. For non-gamers, the balance of CPU, GPU, media and power drain is likely to be good. The news has not been officially confirmed by Intel but that might happen at Computex later this month. If not, wait for hands-on at IDF 2011 in September where we expect final launch and product availability to be announced. Details of two Oaktrail parts have been revealed by Intel today confirming pretty much everything we knew already! Availability of the Oaktrail parts are ‘now’ but as I mentioned in a tweet a few days ago, the first products shipping with Oaktrail won’t appear until at least May. Two part numbers have been confirmed. The Z670 and Z650 (1.5Ghz and 1.2Ghz) are both 3W CPUs and will be paired with the SM35 chipset at 0.75W. Remember that on the previous Z-series generation, codenamed Menlow, the two-chip solution came in at around 5W for the same capability. Both parts are manufactured on the 45nm process. We’ve been fairly sure that the graphics core would be another PowerVR design for a long time but Intel finally confirmed that it’s the GMA600 clocked up to 400Mhz. That’s twice the speed of the GPU on Menlow and it should provide a noticeable boost. We’re not sure of the core design yet. Importantly, the memory controller is now on-die with the GPU and CPU and this should also provide a noticeable boost as it did on Pinetrail in 2010. Other features include Intels ‘Deeper Sleep’ , ‘Enhanced Speed Step’ and, as on the previous generation, 1080p hardware decoding. The SM35 chipset provides a new SATA interface USB is limited to V2.0 only. HDMI ports are supported. We’re working with a couple of OEDs to get a sample of an Oaktrail Tablet in the studio soon for more testing. We’re confident of good battery life on Oaktrail but need to test more on the performance side of things. Here’s our ECS Oaktrail Tablet hands-on at CeBIT. Intel are talking about 35 Oaktrail design wins. Some of them are shown below. 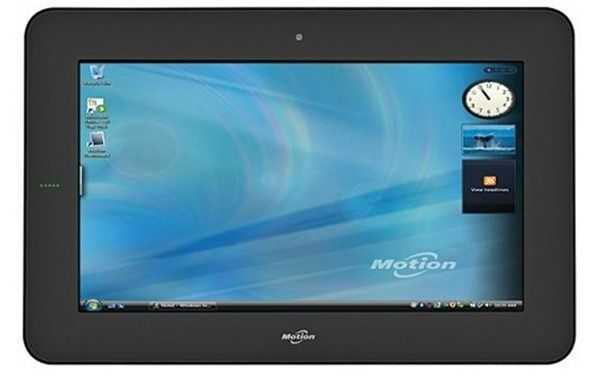 Next Gen Netbook Platform â€“ 2H 2011 â€“ to Include hardware video decoding. Intel will be leaking various details of the new Netbook platform over the next 24hrs but have already confirmed some of the Cedar Trail predictions I made last week. Wireless Display and Wireless Audio will be included on the platform along with a 1080p hardware decoding. Either this indicates a shift to a Z-series style GPU core or a totally new GPU design. I suspect the latter in order to include much needed 3D enhancements. Fanless designs are mentioned in the early press teaser although Joanna Stern managed to get an interesting quote out of Intel. Apparently the Cedar Trail platform will get a ‘big boost’ in performance. Are they going dual-core across the range or is this just a reference the a new GPU that could compete with AMD’s Fusion APUs? Expect more on Cedar Trail over the next 24hrs. IDF Beijing is the first Intel Developer Forum of 2011 and it starts on 12th April. While it’s not as big as IDF San Francisco in Sept it serves an important event for Intel in Asia because it is about now that ODMs will be looking at platforms for the Q4 market. IDF Beijing could provide us with important clues as to what advances will be made and how Intel want to market their platforms and software solutions in 2011. IDF Beijing 2008 â€“ Intel Atom products – first availability info. IDF Beijing 2011 includes a raft of Atom and mobility-focused sessions. Digitimes also say that Intel are encouraging notebook manufacturers to develop Android/Intel solutions for demonstration at IDF. Doug Davis, General Manager, Netbook and Tablet Group will be giving a keynote so that’s the one to watch. I suspect that the Android Tablets won’t be the big news from his keynote though. Taking a detailed look at the session catalogue there’s one session that stands out and having just put my thoughts down about the next generation netbook platform [extract below] this is one session I will be watching carefully. Cedar Trail needs to make more than just an evolutionary step â€“ critical architecture changes are needed to put value-add and GPU performance into the platform. This session will introduce a new set of platform features and innovations that will allow HW manufacturers and developers the opportunity to build the next generation of exciting netbook designs that will delight the consumer. In addition, attendees will get first looks at the next generation Intel® Atomâ„¢ processor based platform. I’ve highlighted the important lines but also take note of the Intel Wifi note. In my opinion that relates to Wireless Display and Wireless Audio. That’s exactly what needs to happen to create a unique value-add. 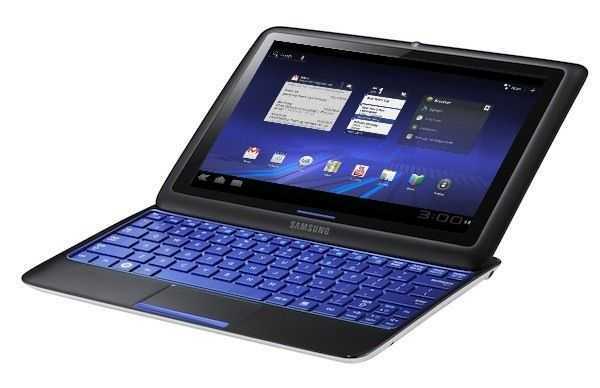 The new netbook platform is currently known as Cedar Trail. A convergence of the Oaktrail and Pinetrail platforms into Cedar Trail (in terms of GPU architecture) is also needed in order to unify the platform for other software stacks but what would also be interesting would be Intels ‘power island’ or ‘power gating’ technology brought to netbooks. 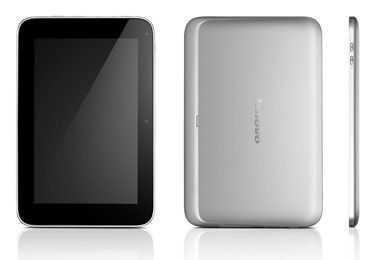 That could bring ‘always-on’ with compatible operating systems such as MeeGo, Android or even Chrome OS. 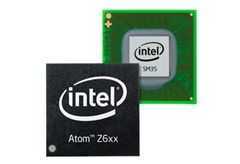 Intel need to deliver something special with Atom at IDF Beijing. 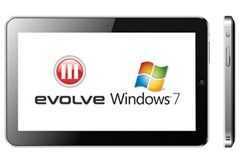 Smartphones based on their technology are still missing from the market; Intel-based tablets are largely Windows-based and still not being delivered with Oaktrail; MeeGo is still unproven and the Intel netbook platform is being challenged by AMD. The complete session guide is here. IDF 2011 website is here. If you’re at IDF Beijing and are interested in reporting for us, please get in touch via the contact form. I have a personal interest in getting as much CPU power as possible in my netbook but all I want to do here is highlight some reports that are coming in via the C-50-based Toshiba NB550D. Overall, it looks like the high-end Atom N550 is still the best performing mobile CPU. Here are the test results we’ve seen so far. Passmark, a company that collects 3rd-party reports via its own software now has a few reports in from the C-50. The first benchmark was received just a few days ago so be aware that there are only 2 data points so far. The C-50 is clocking in with an average CPU mark of 480. It’s a better score than the older N470 (score:355) but the Atom N550 is averaging a score of 559 â€“ 16% more. Eprice have had reports of the NB550d before but on the 25th Jan a new report was posted that included PCMark05 scores. Unfortunately the device used is an engineering test sample with a single-core C-30 APU inside so bear that in mind. 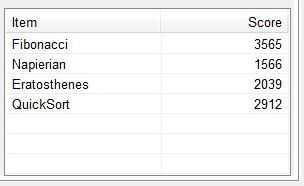 The report does links to a Cinebench mark of 1271 for the C-50 CPU, however. For the Atom N550 CPU i’ve found cinebench scores of 1504 and 1461 and 1444 – An average 15% more. 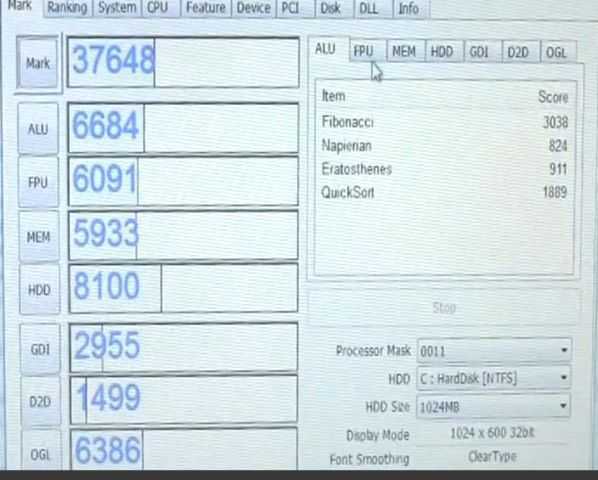 Netbooknews are currently testing an NB550D and has delivered a full suite of test results and a video. It’s an interesting Crystal Mark score. The total is about the same as I’ve seen on two Atom N550 based devices but the CPU score is down, especial for the ALU tests. Below is a result I took from an Acer D255. (Atom N550.) I saw similar results on a Samsung N350. Overall then, were seeing the C-50 CPU score lower than the Atom N550 . It’s not the complete picture of course (Graphics and video decoding on the C-50 APU is in another performance bracket altogether!) 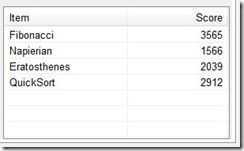 but for those wanting to number-crunch on a netbook, these results should help you decide. With my requirements firmly in the ‘office’ space with a view to some low-end video editing, I’d choose the dual-core Atom-based devices. What about you?